This royal wedding tiara is all sparkle and quite right, too. Not only does that suit the bride's personality to a tee, it was perfect for a wintry wedding day at the start of February. Luckily, for Maxima and her husband, Willem-Alexander, the sun shone on them making that tiara glitter just a little bit more. The stand out feature of this wedding day wonder is the stars. And they've got an historical punch as well. 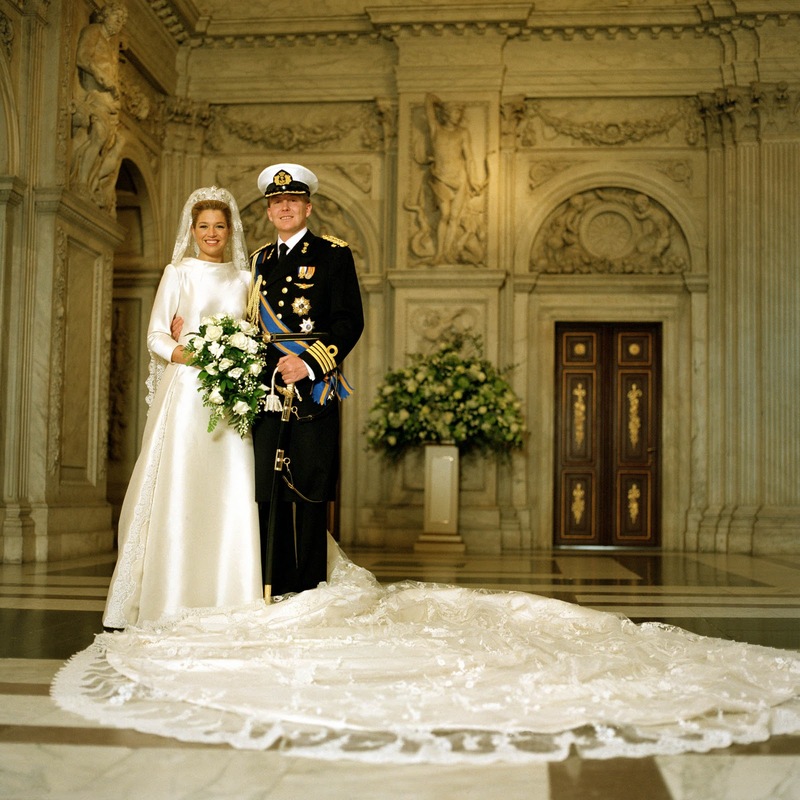 Maxima was marrying the first man to be in line to take the throne of the Netherlands in over a century meaning that as she said 'I do' she became the country's first queen consort in waiting since the 1800s. 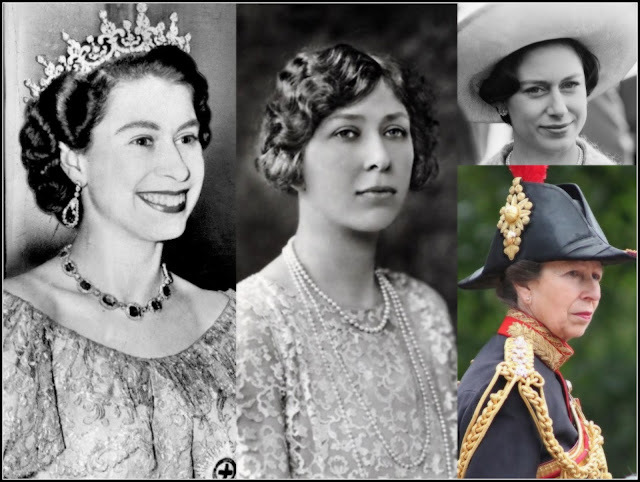 And those stars on top of her tiara belonged originally to the last Dutch queen consort before Maxima. The stars came to Emma on her own wedding day, January 7th 1879. Emma of Waldeck and Pyrmont was the second wife of Willem III of the Netherlands. Her husband, who was 61 at the time of their wedding, had sons to succeed him but wanted a consort while his 20 year old bride had talked her way to a crown by letting it be known she wouldn't mind being a queen just as Willem started looking for a second wife. The couple had a daughter, Wilhelmina, in 1880 and when Willem's adult sons died she became heir to her father. Emma was at her side as Wilhelmina became queen regnant in 1890 and began over a century of female rule. The dowager queen was, by all accounts, a formidable power at court and always very well loved by her family and country. So by choosing her stars, Maxima not only made a link to the last woman to hold the role of queen consort, she gave a nod to a special person in recent royal history. We're not done with the history yet. The stars were added to a diamond tiara that usually has pearl buttons on top of it and has links to Maxima's mother in law. Beatrix, who was still Queen of the Netherlands, wore the tiara for her inauguration as monarch in 1980 albeit in the pearl button form. The diamond base of this sparkler is believed, by some, to have once belonged to Sophie of Wurtemburg who was the first wife of Willem III. Others think it's a later piece. But the Sophie link would make a rather nice addition to the story of Maxima's wedding day tiara, meaning she wore jewels belonging to the last two queens consort of the Netherlands before her as well as the diadem that had played a starring role at the start of Beatrix's reign. All very appropriate and rather clever from a bride who showed within months of her marriage that she was more than up to the job. 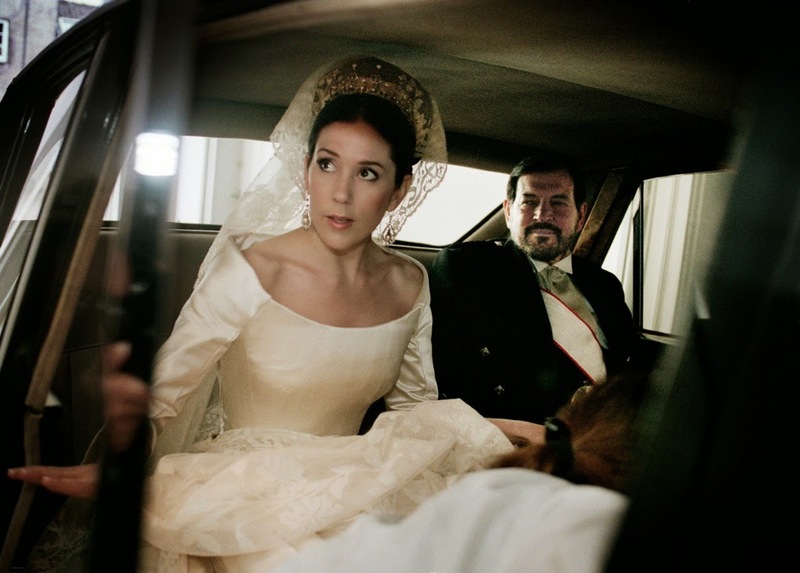 Sixteen years on from her wedding, this tiara is still as sparkly as it was on that cold February day in 2002 and while Maxima rarely wears it in this fitting now, she has made sure that these jewels have a special place in Dutch royal history all of their own.